If you are looking for information on the Zizzo's Coffee franchise business opportunity, Zizzo's Coffee franchises or Zizzo's Coffee franchising, then you have come to the right place. Thank you for your interest in a Zizzo's Coffee franchise. We are seeking energetic franchisees to share our passion, purpose and drive. Owning a Zizzo's Coffee franchise will offer you personal freedom as well as an exciting opportunity to gain financial independence. At Zizzo's Coffee Enterprises, LLC, we provide an accepted brand name, national purchasing power, trademarks, extensive training program, lifelong support combined with superior customer service and our drive to provide a high quality beverage to the consumer. We are a new coffee concept energized by our desire to offer the highest quality coffee along with the most flavorful and exquisite espresso-based drinks. Our experience and proven concepts provide the franchisee with an opportunity to succeed in the ever growing coffee industry. 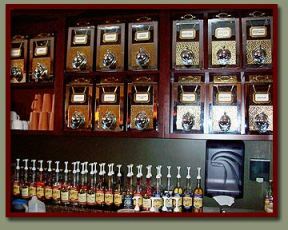 With our proprietary recipes, service, décor and state of the art coffee houses, Zizzo's Coffee is primed and ready to advance our dream on a national level. "I look forward every morning to coming into this bright and cheerful atmosphere. The colors are soothing and relaxing. This is the bright spot of my day." "The coffee house with the most elegant ambiance and tastiest roast." "Can't think of a better place to start my day, and I have tried them all. The atmosphere is lively and upbeat, and they have the coffee to match." "My wife and I started coming to Zizzo's Coffee shop when it was recommended by our future daughter in-law. We were so delighted by the atmosphere and great coffee that we changed our walking route so that we could get our Zizzo's fix everyday. Great coffee shop." "The service is great here. They are fast but at the same time personable. They know everyone on a name basis. Everyday I come in it's like I'm visiting friends."